Fipronil is a phenylpyrazole insecticide that is the active ingredient in the pesticide Icon 6.2 FS™ which is applied to rice seeds targeting the rice water weevil. An arthropod-selective insecticide, fipronil blocks the GABA-gated chloride channel and is unique in that several of its degradation products have been indicated to be equal or more potent than fipronil. After application of rice seeds (2–3 days postplant) to flooded ricefields, water is typically pumped from the ricefields and can be used for the culture of crayfish (Procambarus sp.). Because fipronil is selective for arthropods, is transported via organic sediment, and crayfish consume organic sediment, 96-h LC50 experiments were conducted with fipronil and three of its environmental derivatives in crayfish under conditions without carrier solvents in water of similar pH, alkalinity, and hardness as observed in south Louisiana crayfish culture ponds. Measured LC50s for fipronil to red swamp (Procambarus clarkii) and white river (Procambarus zonangulus) crayfish were 14.3 (95% CI; 5.1–23.4) and 19.5 (95% CI; 11.1–27.9) μg/L, respectively. LC50s of fipronil sulfone (11.2; 9.2–13.2 μg/L), fipronil sulfide (15.5; 13–18 μg/L); and the photoproduct, desulfinyl fipronil (68.6; 46–95.2 μg/L) displayed very high toxicity in crayfish. In situ toxicity studies using caged crayfish in culturing ponds receiving effluent from drained ricefields indicated that effluent from ricefields planted with Icon-treated seed was significantly more toxic compared to untreated surface water (40% survival compared to 83% survival). 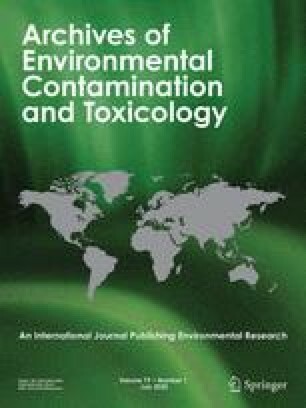 Hazard quotient comparisons using measured water concentrations in the field and laboratory-based LC50s indicated that fipronil and its metabolites in water resulting from Icon-treated rice seed planting poses a significant risk to crayfish survival.